"You're going to sell what? Empty Boxes?" 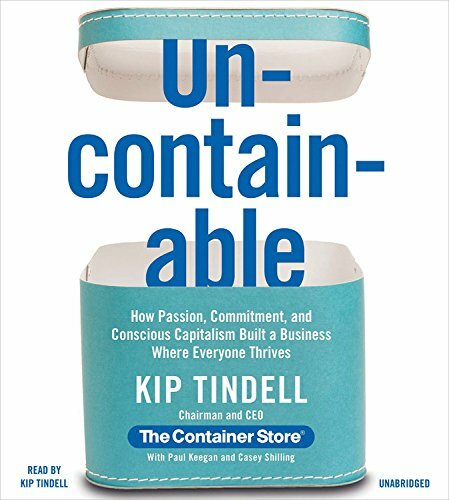 Back in 1978, Kip Tindell (Chairman & CEO of The Container Store) and his partners had the vision that people were eager to find solutions to save both space and time - and they were definitely onto something. A new category of the retailing industry was born - storage and organization. Today, with stores nationwide and with more than 5,000 loyal employees, the company couldn't be stronger. Over the years, The Container Store has been lauded for its commitment to its employees and focus on its original concept and inventory mix as the formula for its success. But for Tindell, the goal never has been growth for growth's sake. Rather, it is to adhere to the company's values-based business philosophies, which center on an employee-first culture, superior customer service and strict merchandising. The Container Store has been named on Fortune magazine's "100 Best Companies To Work For" list for 15 consecutive years. Even better, The Container Store has millions of loyal customers. In Uncontainable, Tindell reveals his approach for building a business where everyone associated with it thrives through embodying the tenets of Conscious Capitalism. Tindell's seven Foundation Principles are the roadmap that drives everyone at The Container Store to achieve the goals of the company. 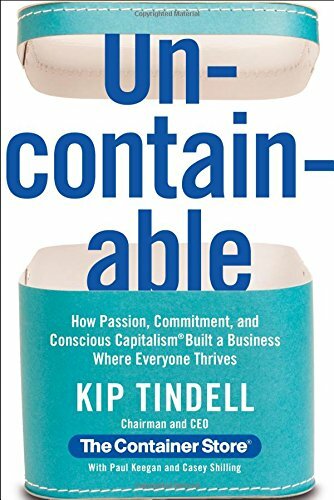 Uncontainable shows how other businesses can adapt this approach toward what Tindell calls the most profitable, sustainable and fun way of doing business. Tindell is that rare CEO who fully embraces the "Golden Rule" of business - where all stakeholders - employees, customers, vendors, shareholder, the community - are successful through a harmonic balance of win-wins.